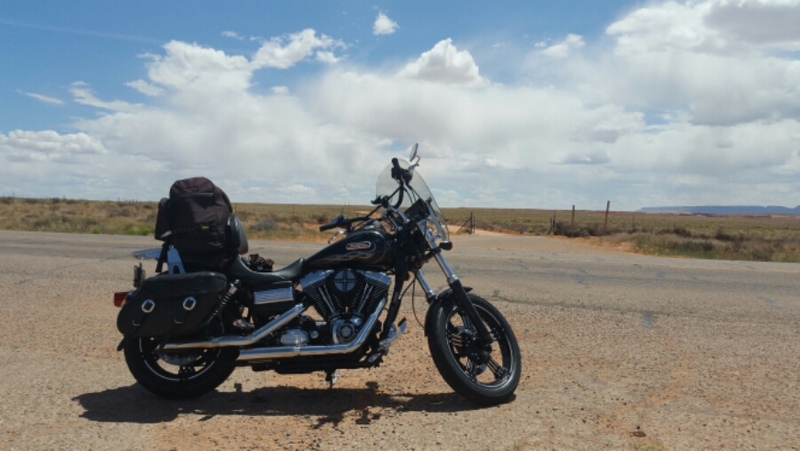 I took this picture of the bike as I rode through the Navajo Nation today. It was an interesting experience. Thinking about the history, the beauty, turmoil, poverty, pride. All the various aspects of the land and people. Realizing that I really know nothing about these lands or peoples. There is a lot of desert type land here, and a lot of austere beauty. I think that goes for a lot of people. Our parents grew up being taught the history of our land and people, these days the kids are more interested in social media. It is a beautiful picture. I wonder just how far you can see as it looks very flat. I bet the skies are amazing and without light pollution the stars will also be very beautiful.